Blizzard Says DRM is a "Losing Battle"
Blizzard Entertainment says content and cool features are the keys to fighting PC game piracy, because trying to do it with harsh DRM systems is a "losing battle." This is bound to reignite an old argument, so let me jump-start things for everyone: Steam is DRM. This is a fact. Yet many of the same gamers who rail against ham-handed efforts by Ubisoft and THQ to protect their games from illegal copying will argue that Steam is in fact not DRM at all, because it camouflages its unfrosted side with all kinds of cool extra crap. It's a brilliant and successful approach, and one that Blizzard seems to want to emulate. 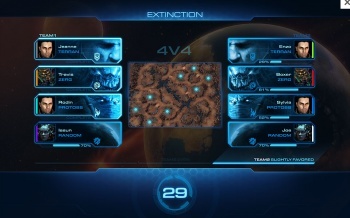 "If we've done our job right and implemented Battle.net in a great way, people will want to be connected while they're playing the single player campaign so they can stay connected to their friends on Battle.net and earn the achievements on Battle.net," Blizzard co-founder Frank Pearce told VideoGamer.com. "The best approach from our perspective is to make sure that you've got a full-featured platform that people want to play on, where their friends are, where the community is." He's also hopeful that a big, juicy Battle.net carrot will convince many potential pirates to actually buy the game, since the stick has so obviously failed to do the job. "If you start talking about DRM and different technologies to try to manage it, it's really a losing battle for us, because the community is always so much larger, and the number of people out there that want to try to counteract that technology, whether it's because they want to pirate the game or just because it's a curiosity for them, is much larger than our development teams," he continued. "We need our development teams focused on content and cool features, not anti-piracy technology." StarCraft 2 comes out on July 27 and will require a one-time online activation and a Battle.net account, pretty much identical to Valve's activation requirements for Steam. After that, the single-player campaign will be available in an offline mode.